Where Did Firefox Put My Download? 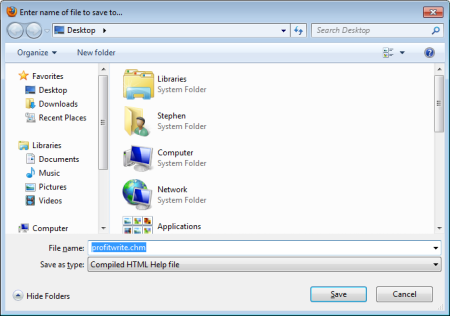 When you download with Internet Explorer, it pops up a "Save" dialog box to ask you where you want to save the downloaded file. But when you download with Firefox, it simply displays the message "Download complete". Wonderful, but where did it put the downloaded file? By default Firefox places downloaded files in the user's Downloads folder. I actually prefer downloads to be placed on my desktop because obviously I'm going to do something with it immediately. Here's how to train Firefox to ask you where you want to save the downloaded file. In Firefox's main menu, select Tools | Options, then in the Options dialog box that appears, on the General tab, in the Downloads section, set the o Always ask me where to save files radio button. Then click on the [OK] button. 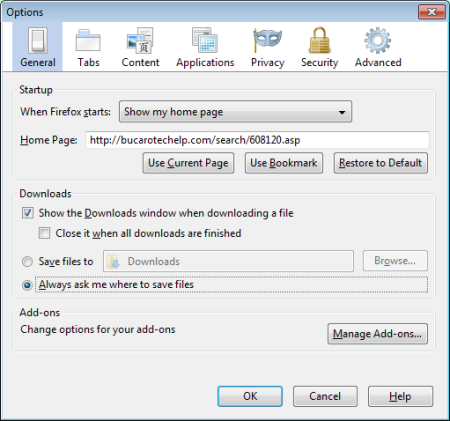 Now, when you download something with Firefox, it will display the save to... dialog box asking you where you want to save the downloaded file.